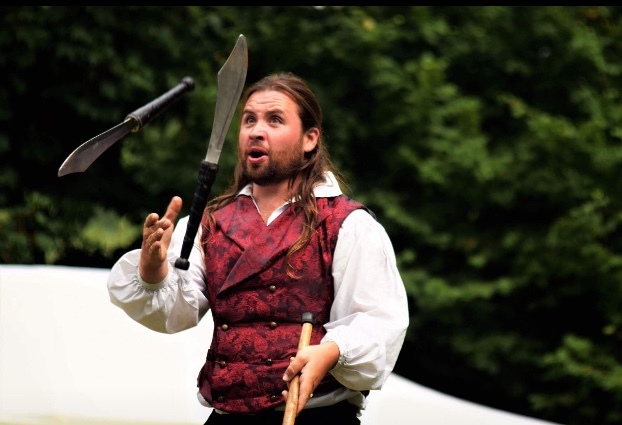 Isle of Wight entertainer Greg Chapman returns to the stage with his new comedy adventure magic show ‘Into The Wilderness’, and as usual his tour begins at home on the Island. After his Airship crashes into an uncharted jungle, following a slightly misguided attempt to find a shortcut between the Isle of Wight and Italy via South America, Greg finds himself setting up camp as he attempts to contact potential rescuers. This 90 minute show is fun for everyone to enjoy! The tour began at Shalfleet Village Hall at the end of March, and has been described as ‘fantastic fun for all the family’ and ‘very entertaining show, although totally bonkers!’. Greg will once again be crashing his airship into the South American jungle and taking on evil pirates, wild animals and angry natives at Brighstone Scout Centre on 26th April and Aspire Ryde on 10th May before the tour moves on to the mainland – with tickets still available on the links below! Don’t miss out on the first tour of this new show from a local entertainer!